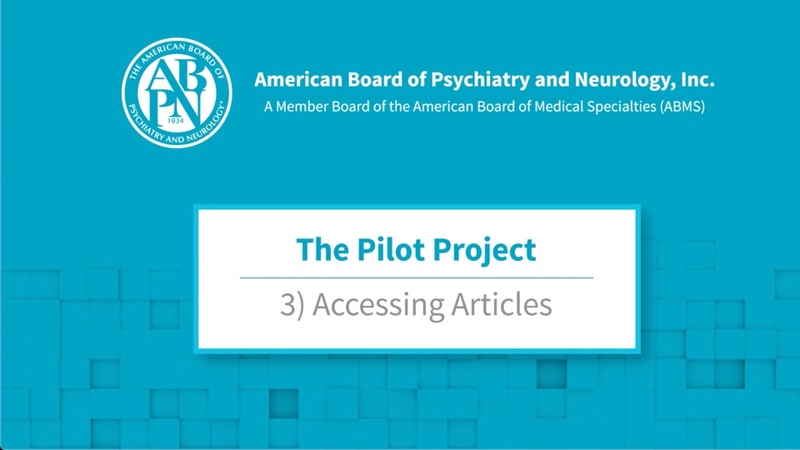 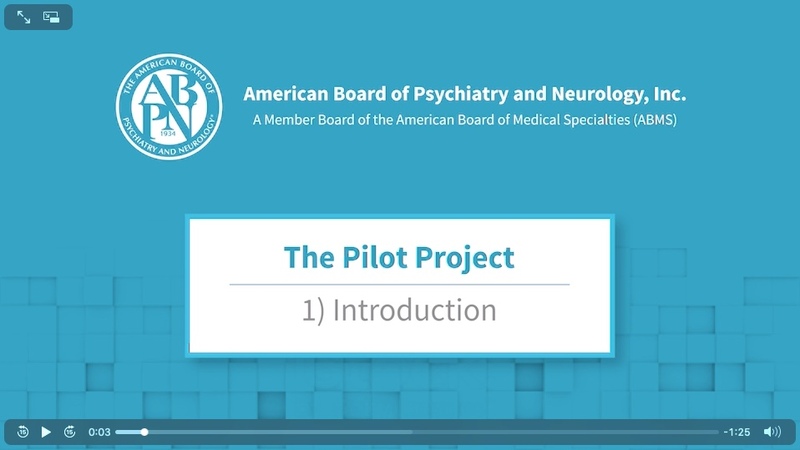 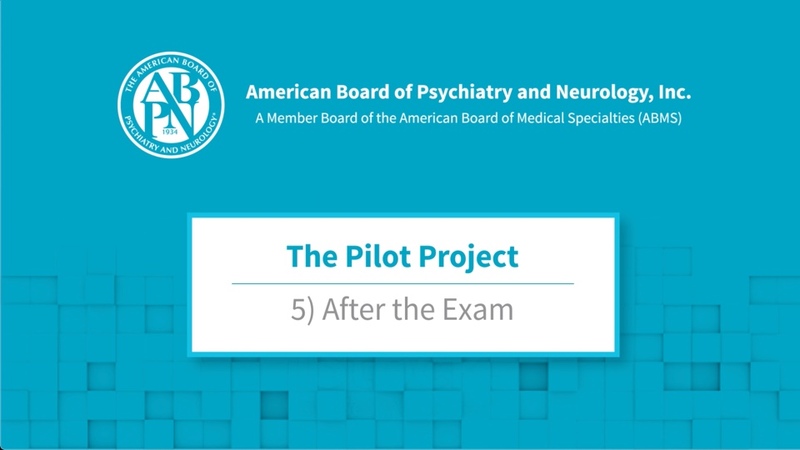 The ABPN provides resources to assist participants with the new Pilot Project online portal. Detailed written instructions and individual instructional videos provide assistance with logging into the portal, choosing a topic area, choosing an article, taking a mini-examination, analyzing performance and feedback options. 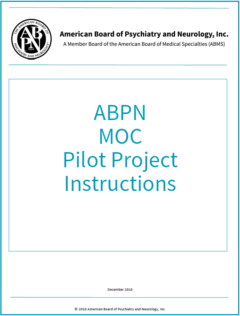 Links to the written instructions and five short videos are included below. 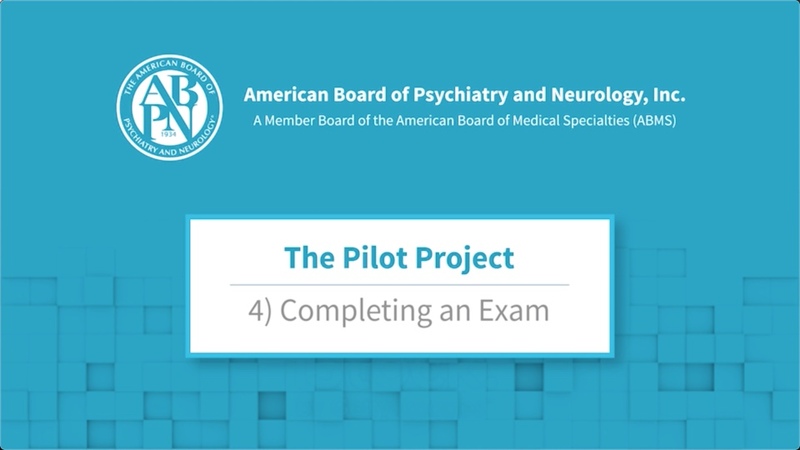 Click on images to access.